It’s finally fall, which means trees are changing colors and weather is cooling down. If you are planning a fall vacation at Spinnaker Resorts, make sure to add some of our favorite activities to your list of fun things to do! Royal Floridian and Royal Floridian South are very excited to present new fall season activities for everyone. From fall-themed crafts to challenging card games, we are sure these activities will provide a unique vacation experience. Ormond Olive Oil Company: You are invited to take a walk on Monday mornings, over to the “Ormond Olive Oil Co.” in a local plaza. 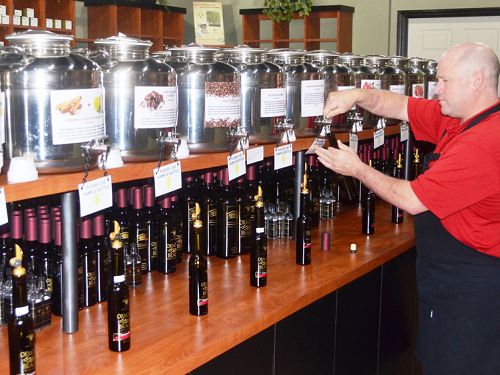 Guests will be welcomed with a presentation about different oils and other delicious things the shop has to offer. There will be delicious samples of the oils for everyone to have a taste. There are also soaps, beauty products made of honey, and gift packets to try! 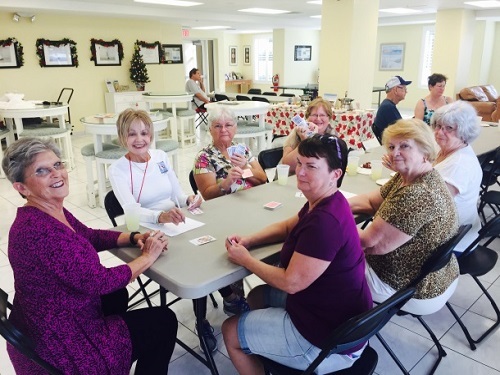 Rummy 500: Join the Royal Floridian Recreation Team in the South Gathering Room each Wednesday at 1:00 p.m. for a friendly game of Rummy 500. You have the opportunity to mingle with other guests and make new friends. Winner takes home a grand prize! Sea Shell Canvas Art: Our most interesting craft this fall is our Sea Shell Canvas Art! We are offering a large variety of paint colors, sand dollars, sea shells, and all sorts of bling and glitz to create your very own masterpiece. Each Friday in the Activities Room we will have all the supplies needed for guests to use their imagination to create an underwater scene on canvas to take home. Fall is an absolutely beautiful time here at Palace View and Palace View Heights in the Ozarks. With the scenery beginning to change colors, it’s fun just to take a drive and experience the natural artistry. It makes for a perfect calming and relaxing vacation. 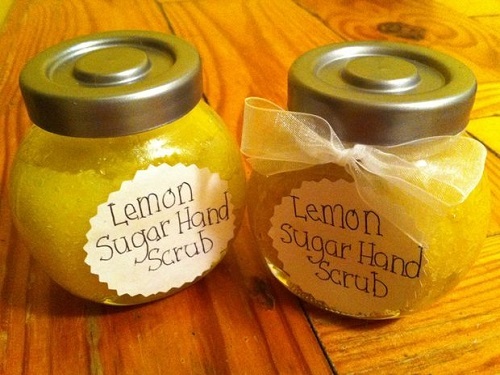 DIY Hand Scrubs: Here at Spinnaker Resorts we love to embrace the fall season and savor the unique fragrances it brings. Making DIY (do-it-yourself) Hand Scrubs with essential oils will leave your hands feeling silky and refreshed while smelling like your favorite fall scent. Fall Candles: Starting with a big block of wax we will melt it down and add some favorite scents of fall and fill a mason jar while holding the wick in place. 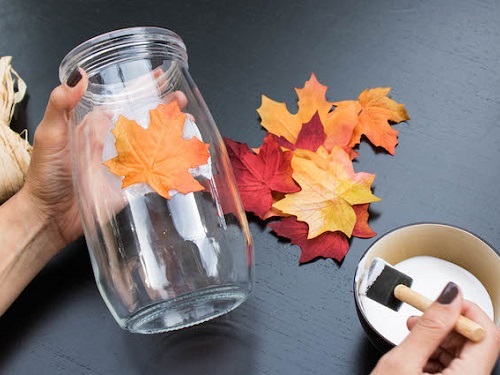 Your homemade candle can be decorated with all of your favorite fall decorations, to make it a unique vacation souvenir. These candles are adorable and they smell incredible! Fall is a wonderful time of year to really explore your surroundings. We offer some amazing tours on land and water to make your vacation more interesting. A fall vacation to the Lowcountry should definitely be on your list of things to do this year! 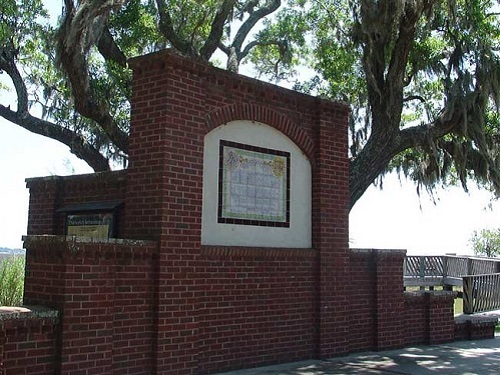 Santa Elena/Parris Island Tour: Step aboard our shuttle and step back in time to explore the “Lost Chapter Of Our History” at the first settlement of the New World recently discovered in the Lowcountry and much more. This one-of-a-kind tour visits: Santa Elena History Center, Santa Elena Site, Parris Island Marine Base & Museum, Port Royal Maritime Center and includes a buffet lunch. Group Paddle: Are you staying at Bluewater Resort and Marina this fall season? If so, you have the amazing opportunity to tour Skull Creek on a kayak adventure! 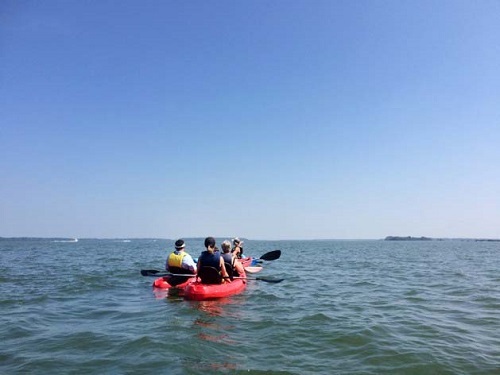 Join our staff on the water for a fun kayaking experience. You can take a paddle safety course to learn all the rules of the waterways for a fun and safe ride. Remember to reserve your kayak at least 24 hours in advance. 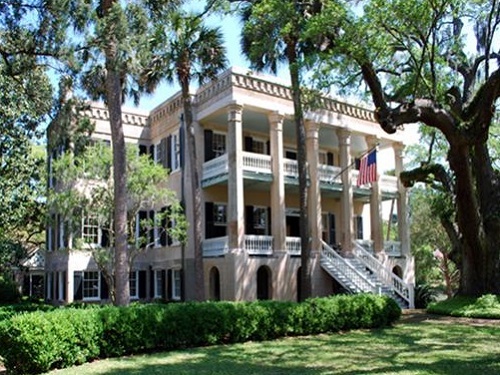 Historic Beaufort Tour: Hop aboard our shuttle for a trip to historic Beaufort, “Charleston’s Charming Little Sister”. This day excursion includes a tour of a historic home museum and carriage tour through the famous Historic District with time to shop and enjoy lunch on your own downtown. We hope you have an amazing fall vacation! Let us know your favorite fall activities, by connecting with us on Social Media!